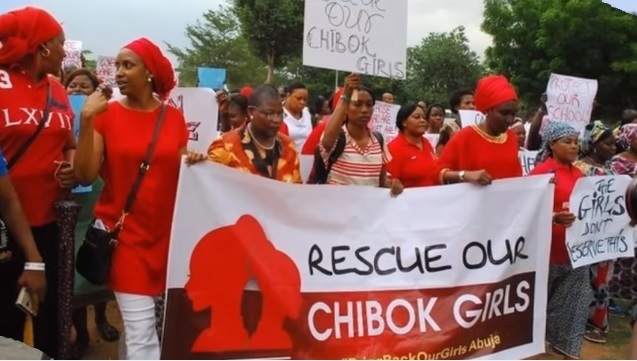 The Christian Association of Nigeria or CAN has warned about the increasing number of abduction and forced conversion cases involving female Christians in the northern region of the country. The organization also urged authorities to carry out the necessary operations to stop the violence and other anti-Christian activities in Nigeria. The CAN made the statement after it was confirmed that Ifesinachi Ani, the 16-year old Christian girl who was abducted in the Federal Capital Territory, was forcefully converted to Islam. As reported by Information Nigeria, Ani was taken about six months ago in Abuja. Since then, authorities have not been able to deliver helpful information to Ani's family regarding her whereabouts. But then, on Sunday, local news agency The Authority was able to confirm that Ani's abductors were able to brainwash her to change her personality and religion. This is according to an investigation conducted by the agency. After hearing that her daughter is now a Muslim, Ani's mother said that her Islamic teacher might have something to do with her disappearance and conversion. "Immediately my daughter came in contact with this (teacher) Baba Abdul who stays near us, her attitude changed suddenly," she said in a statement. "I could no longer understand the character of my child." "She started to tell lies and disrespect me to the extent that I almost went mad," she added. "It was four before they took my daughter away from us that I discovered what was happening." Ani is only one of the victims of abduction and forced conversion in Nigeria, according to CAN, which consists of the 19 Christian states in Nigeria. It is believed that abductors use a variety of techniques, which includes hypnotism and other forms of trickery, to turn their victims against their religion. According to sources, their ultimate goal is to abduct as many teenage girls as they can to marry them off to Muslims. As noted by Yakubu Pam, the chairman of CAN, the Nigerian government must do everything that it can to protect the country's Christian population from both local and international forms of persecution carried out by Boko Haram and supporters of other Islamic extremist groups. "The church is really concerned and we are pleading with the government if they can put every leadership on alert, particularly, our traditional leaders and security agencies so that they can control such an ugly issue that has been taking place here in the north," he said according to The Cable.